An extensive collection of original lithographic postcards illustrate the history of this botanical conservatory that was built in 1888, is the second-oldest glass house in America, and is of the surviving architectural treasures in historic Druid Hill Park. This book includes a portfolio of stunning photographs by David Simpson. Mr. Simpson’s photographs not only capture the elegance of the architecture, but also present intimate images of individual plants and flowers. 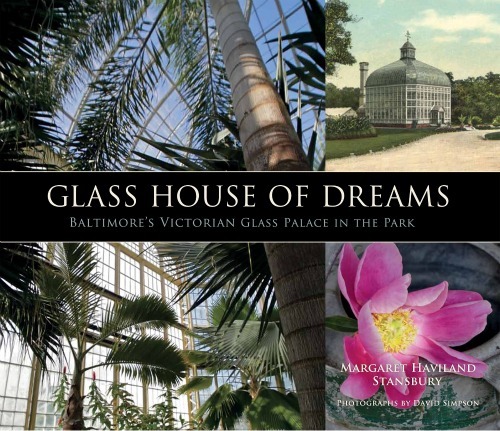 This book is available, along with prints and notecards, at the Rawlings Conservatory, and from the website www.glasshouseofdreams.com. To schedule a speaking engagement with the author, please e-mail her or call 410-527-0596.